The early 1990's were a fertile time in music history. All kinds of hybrids of rock, hip hop, and funk were popping up all over the world. Arsenio Hall had broken the late-night host color barrier. "In Living Color" featured a token white dude (Jim Cary). Anthrax and Public Enemy made a music video together that was produced in Chicago by H-Gun Labs. Life was good. Then there was KONG STIK. Start with the massively funky bass of Kenny James, then add Eric Williams, guitarist and songwriter from seminal surf anti-punksters 007, and then pepper-spray the rhythms with hard beats from Jim Colao, the original drummer from NAKED RAYGUN, and you have KONG STIK. The best of funk and rock rolled into one big bomber. 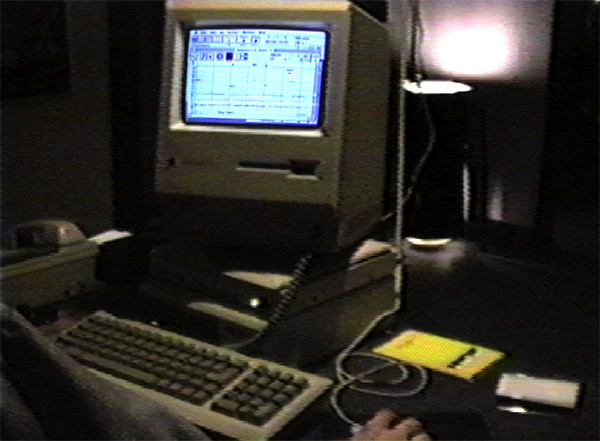 PHOTO: Jim Colao sequencing with "Vision" software on a MacPlus. In an apartment at 1639 W. Belmont Ave., supposedly the former party space of Smashing Pumpkins, KONG STIK recorded several songs and jammed with a young rap crew from Chicago's South Side known as Stony Island, who were just down the way from then little-known rapper "Common Sense" (well-known today as "Common"). A rare jam with KONG STIK and Stony Island was recorded and will be finally available soon for download. Here's a clip from KONG STIK's final show at Metro in Chicago 1994. Thanks to Paul for shooting the farewell video. Eric Williams, lead guitar, vocals. 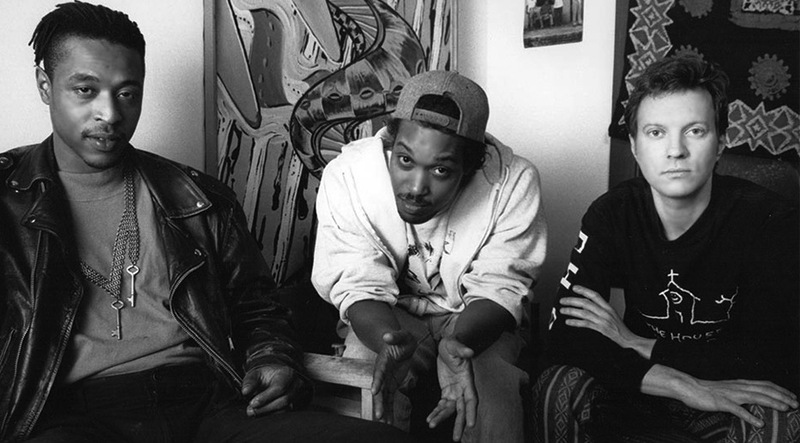 Although KONG STIK disbanded after Kenny got married and relocated to San Francisco, the trio have continued to create music for a variety of audiences since 1994. Read our individual music bios on our "We Are" pages.